The Indian Air Force has reportedly demanded an end to the joint Indo-Russian stealth fighter project. The Indian Air Force (IAF) reportedly wants to discontinue work on one of the most ambitious joint Indo-Russian defense programs to date: the co-development and production of the Sukhoi/HAL Fifth Generation Fighter Aircraft (FGFA), known in India as the Perspective Multi-role Fighter (PMF). According to Defense News, senior IAF officers are concerned that the new aircraft will not meet desired requirements including stealth and cross section features. Major structural changes would be required “that cannot be met in the existing Russian prototypes,” the article notes. Consequently, “the IAF is not keen to continue with the program,” a senior IAF official said. For months, the IAF has expressed its displeasure with the joint Indo-Russian fighter project, despite the recent recommendation by an expert panel instated by the Indian Ministry of Defense to push ahead with the project. Before moving on, India wants a guarantee that it will be able to upgrade the fighter jet in the future without Russian support, which would require Moscow sharing source codes (sensitive computer code that controls the fighter jet’s various systems — the key to an aircraft’s electronic brains). In addition, the FGFA should directly support India’s advanced medium combat aircraft (AMCA) program — a separate Indian fifth generation fighter project. Russia announced in late 2015 that it would only induct a squadron (18-24 aircraft) of PAK FA fighter aircraft, and procure additional Sukhoi Su-35 aircraft instead. The original deal involved Russia procuring 250 and India 144 aircraft at a cost of around $30 billion by 2022. As a result, India threatened to abandon the project in its entirety. 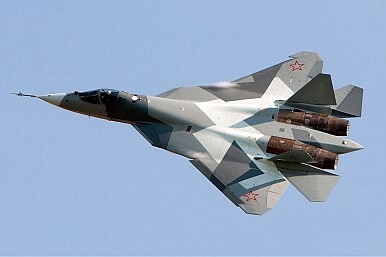 Russia in turn made a number of concessions including an offer to cut down its financial contribution from $6 to $ 3.7 billion for three PAK FA T-50 prototypes and substantial technology transfers. Moscow has recently designated the Russian-variant of the PAK FA/FGFA fighter jet Su-57. Like its Indo-Russian counterpart, the SU-57 will be a fifth-generation multirole, single seat, twin-engine air superiority/deep air support fighter. The anonymous IAF comments to Defense News are likely intended to strengthen India’s bargaining position vis-à-vis Russia in the current round of negotiations. It is unlikely that the IAF will scrap the fighter jet program immediately. An expert panel appointed by the Indian Ministry of Defense reportedly recommends co-production of a new stealth fighter jet.